Castings Services use the latest 3D modelling and material testing software to design, and continually develop, market leading ductile iron manhole covers and gully grates. Longevity is always the key element in our access chamber cover design. We only work with leading foundries such as Thomas Dudley Ltd, based in Birmingham, to ensure we maintain the highest possible quality standards. Where some manhole cover manufacturers aim to design the most competitively priced drain cover that will just meet the relevant standard, we design our products to well exceed the relevant standard. This gives whole life cost savings as well as peace of mind to our many Utility, Telecom and Council customers who value quality over cost savings. Furthermore, our inspection covers and gully gratings are produced in UK and European foundries which meet the highest environmental and human rights standards. So whether it’s a single replacement drain cover for a driveway, or several large span, beamed Ermatic access covers on an Airport runway, you can be certain that the same level of attention has been applied throughout the entire design and manufacturing process. Our ductile iron manhole covers are available in all weight loadings as outlined in BS EN124:1994 and BS EN124-2. We use UK and European Foundries to ensure the highest possible quality of casting and work with the likes of Thomas Dudley Foundry to develop and produce new manhole covers. We carry stocks of basic domestic drain covers in A15, B125 and C250 as well as heavy duty D400, E600 and F900 access covers and frames designed to the standards outlined in HA104/09 and BS7903. 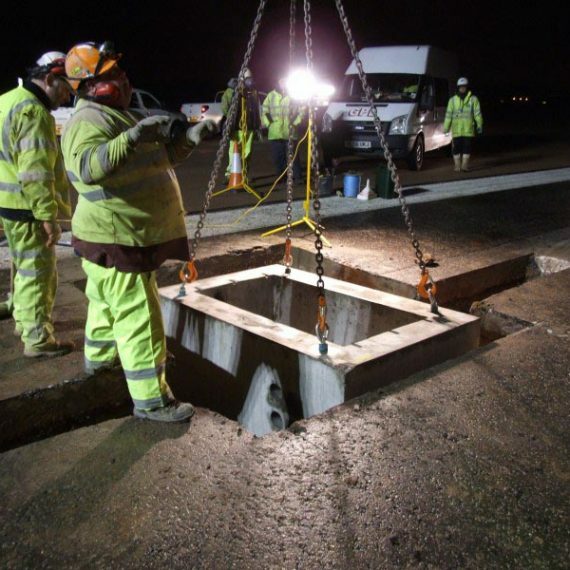 The covers we produce are suitable for many applications; storm drains and sewers, telecom and street lighting duct chambers, railway and motorway communications chambers. Drainage and water management are at the forefront of urban design and planning as flooding becomes an ever more common occurrence. With that in mind, we keep a wide selection of gully grid sizes in stock. As with the manhole covers, all of our ductile and cast iron gratings are fully compliant with the relevant British standard and each is designed to have the largest possible waterway to give the best drainage characteristics. Our range of gratings is extensive and encompasses all standard highway D400 gully gratings, catch pit covers and yard gullies as well as less common items such as pedestrian friendly gully grates, V-shaped gratings, trench drain covers and channel drain. A key part of our business revolves around the telecoms industry. We work with leading network providers such as BT, Virgin Media and Vodafone who, because of our commitment to quality, entrust us with designing and sourcing specialist access covers for use on their underground networks. The majority our telecom covers come fall in to two distinct categories; carriageway covers and concrete filled driveway, or footway covers as they are often referred to as. Carriageway covers are D400 or E600 loading and are hinged for ease of operation, locked for security and embossed with the network provider’s logo. We also supply similar high security access covers to MOD sites, such as airfields, where additional locking features are added to ensure the security of their data networks. Footway covers are B125 loading, galvanised steel trays filled with concrete to give a non-slip surface in the footpath, again these are badged with the network provider’s logo and can be locked for added security. Our carriageway access covers and footway covers are designed to suit all concrete access chambers as well as plastic modular access chambers such as the Cubis Stakkabox. Often referred to as Gatic or Ermatic type covers these multipart covers can be assembled to suit any size of access chamber and weight loading from B125 to F900. They are used on airports, docks or water treatment works where they are used for numerous purposes such as pump chamber access covers or runway lighting pit covers. Each lid is individually machined after casting to such a close tolerance that the covers are gas, air and water tight and can only be opened with special seal breaking manhole cover keys. The covers are available in solid top or recessed for concrete infill and can be assembled to cover standard access chambers or in a linear fashion as duct covers. There are also a number of additional features and accessories that can be incorporated in to these covers including; walk on safety grids, gas assistance struts and smaller lids within the main the lid which act as a peephole access cover giving quick access to fire hydrants or monitoring equipment. If a project requires something other than off the shelf drain covers sizes then our highly experienced technical sales team will work with the client to develop a completely bespoke steel access cover to meet the exact project requirement. 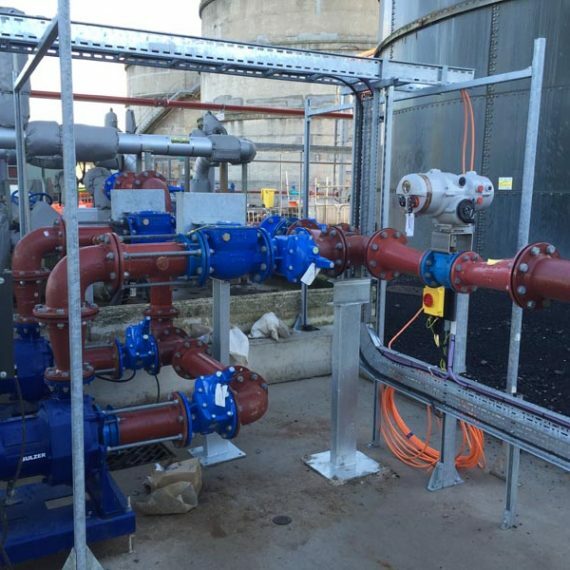 Specially fabricated manhole covers can take a number of forms including upstand access covers as well as flush fit access covers for use on waste water treatment works and pumping stations. Steel is the ideal material for bespoke covers as it allows us to offer any number of additional options such as built in safety grilles, high security locks, hinges, seals and assisted lift manhole lids with safety stays.